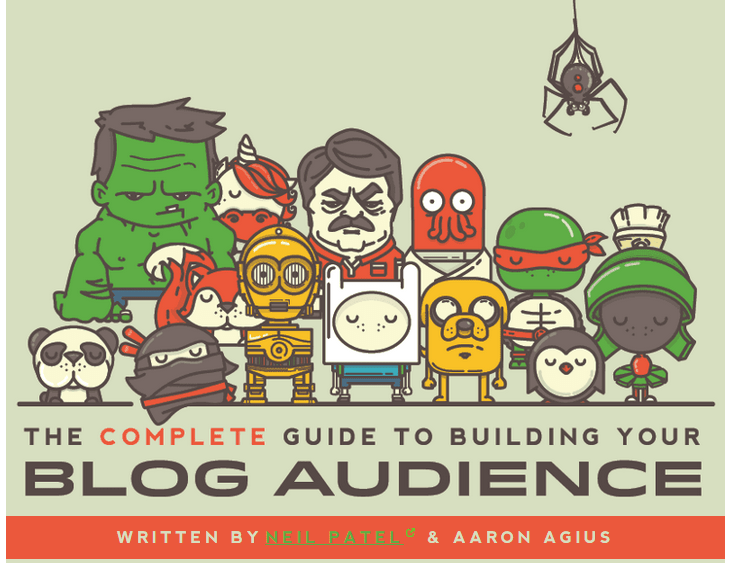 Very thorough with good examples, Neil Patel shows us how these content marketing tactics grow your search traffic. Consistency in implementing best practices is the ticket to long-term success incontent marketing. The demand for content is huge. A recent statistic in DemandGen’s 2015 content marketing survey report revealed that 75% of B2B purchasers rely on content as a research medium when they’re looking to make a buying decision. If you’re looking to drive more search traffic and build a profitable online business, you may have to seriously reconsider your content strategy. Learning from the successes and failures of others can help you generate search traffic and leads. That’s how we learn what “best practices” are, and that’s exactly what this in-depth article will show you. I’ll reveal 21 content marketing best practices to help you cut through the noise and reach your ideal customers. 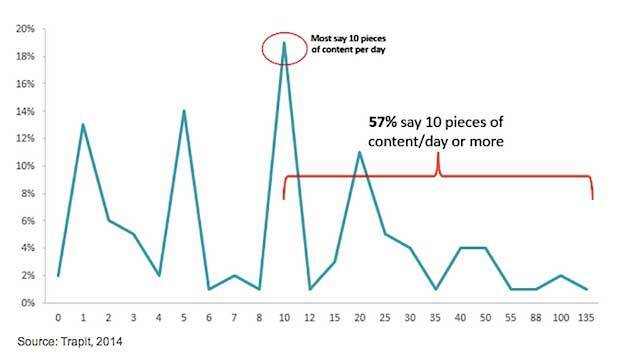 Are you struggling and spending too much with your content marketing? 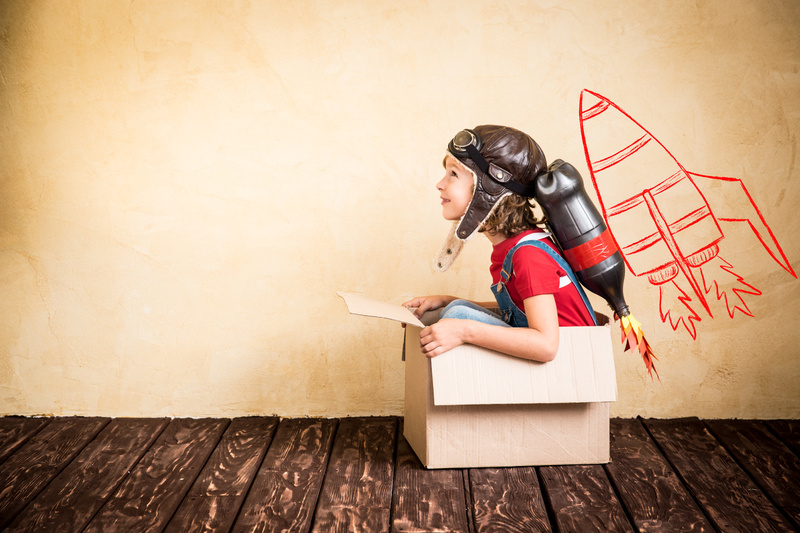 Check out these 21 content marketing tactics that’ll skyrocket your search traffic. 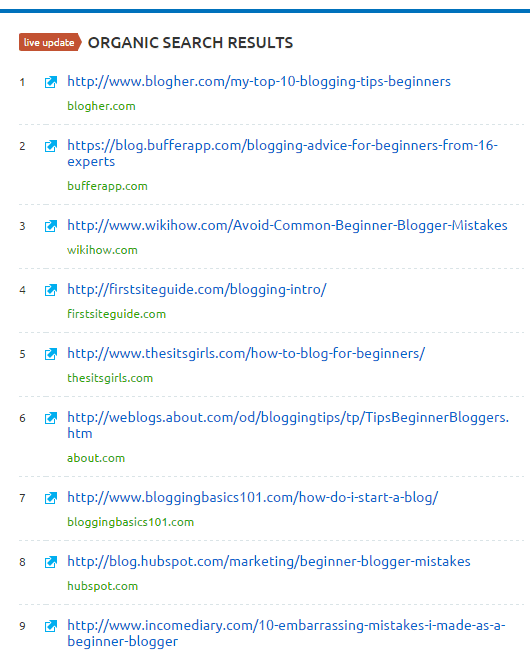 My search traffic almost tripled when I created advanced guides for SEO and several other internet marketing topics. 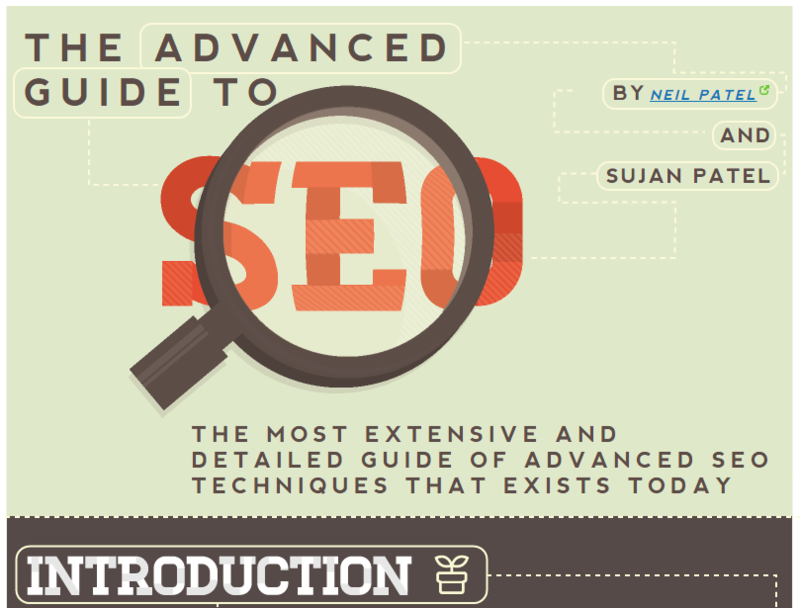 Each of those advanced guides has its own separate landing page, optimized for the applicable keywords. 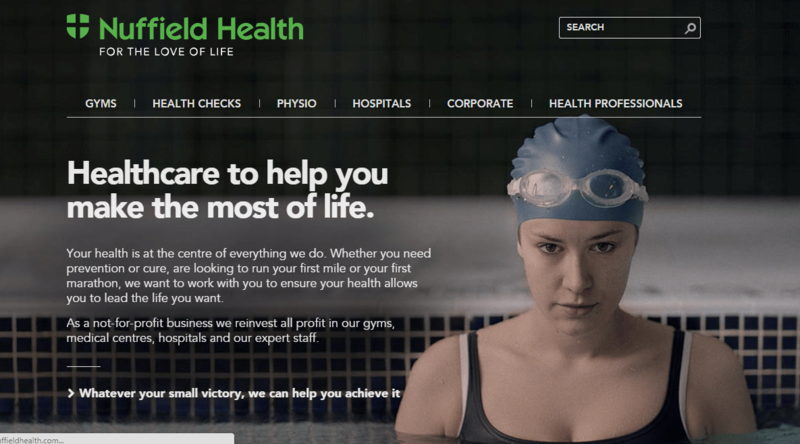 Nuffield Health generated 60% more revenue by optimizing their landing pages for the right keywords. They consistently sought to learn more about their market and customers and then integrated their new discoveries into content creation. 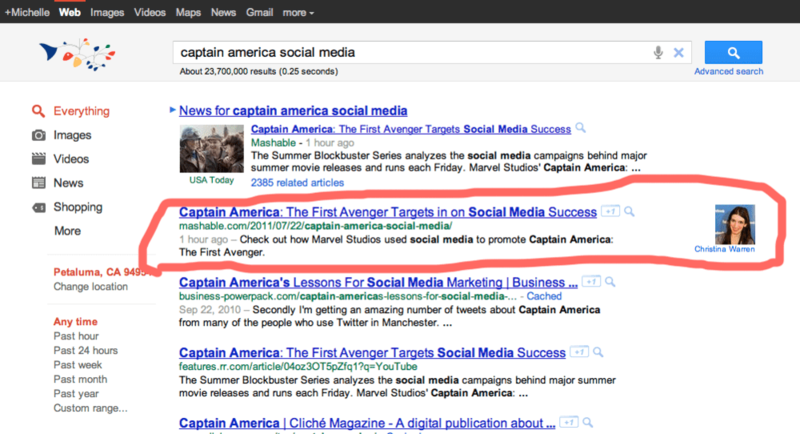 Or take a look at Copyblogger Media. Copyblogger has dozens of landing pages, each aimed at a keyword that the target audience is passionate about. That’s a lesson for you: when creating more landing pages, think strategically about keywords, and build your content around the right ones. 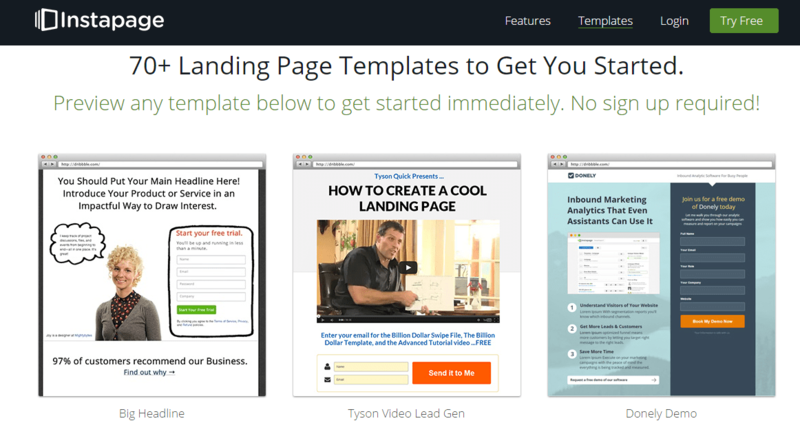 The easiest way to start creating high-quality landing pages is to use templates. 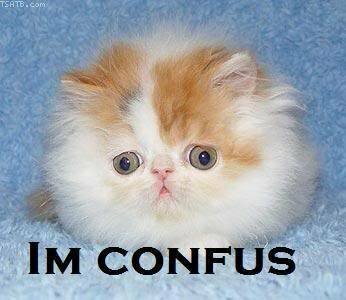 There are many you could choose from, but I like Unbounce and Instapage, neither of which are free. 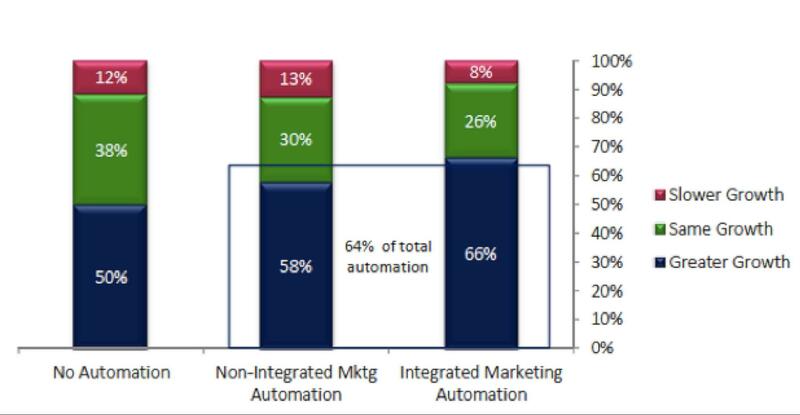 Smart content marketers know they need to segment their audiences based onproduct need. 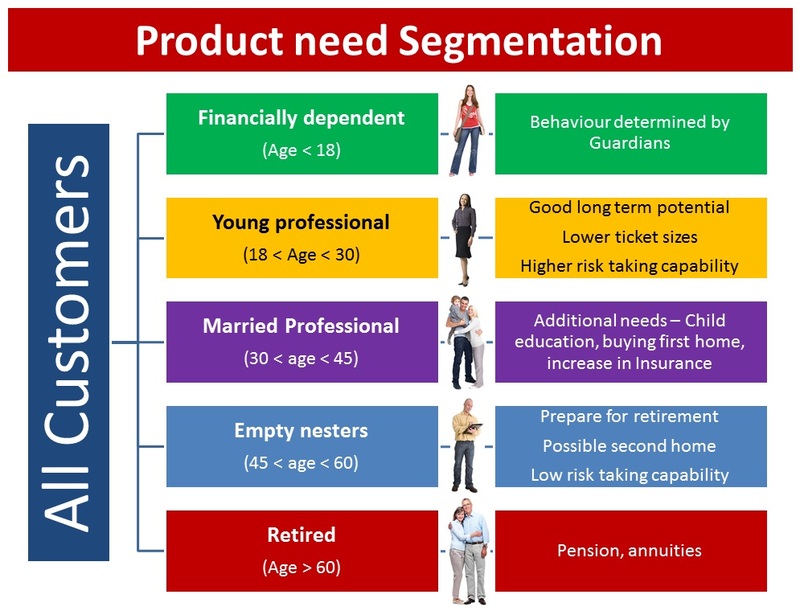 Segmentation is crucial for one simple reason: most of your blog readers, for instance, aren’t buyers, but others are. Simply put, your content can’t suit everyone because they’re at different phases of the buying cycle. So, for instance, content designed to create awareness with new customers is wasted on loyal repeat customers. You can also segment customers based on their personas. 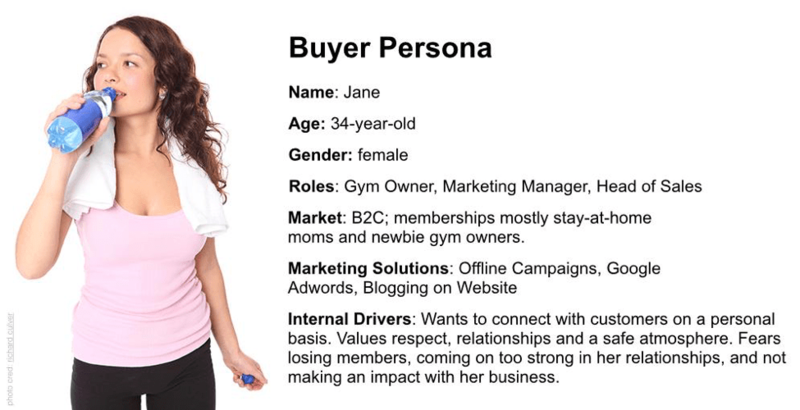 Remember, a buyer persona is a fully fleshed-out profile of one segment of your audience. It enables you to develop content that speaks to each segment more effectively. 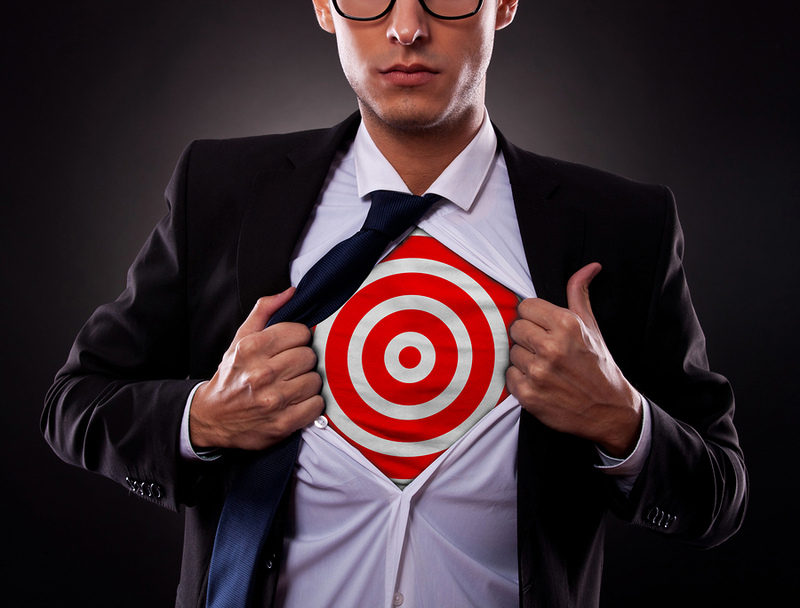 Segmenting your target audience is difficult to do on your blog or website. Instead, use your email autoresponder. In fact, email list segmentation is a must if you want to get the most from your list. According to Emarketer, 39% of email marketers who segment their email lists see better open rates, and 28% report better email deliverability and increased revenue. Before you can create successful and engaging content, you’ve got to know your audience very well. One technique to employ in this regard is keyword research, aimed at discovering what your ideal customers are looking for. Start by getting a better idea of the existing demand for your topic through Google Trends. Just type your main keyword into the search box to learn how many searches it received within a specified period of time. Remember, the more you know about your readers, the more precisely you can target your content to them, and the more effective it will be. Sometimes, you need to personally verify results or data through your own experimentation. What was true five years ago – or even last year – may no longer apply. So, instead of accepting everything you read on other sites and blogs at face value,get in the habit of thinking tactically and critically. Results are relative. You may experiment and get a different result – something that happens 98% of the time. Through observation, brainstorming, and testing, you can come up with a new concept that others can learn from. That’s how you become an expert. Brian Dean applied the same concept to his business and developed the popular “content upgrade” strategy (at least, I first heard about it from him). Now, lots of marketers are using it to easily build their email lists. The millennials are a special segment of the human race. A 2014 report from the White House’s Council of Economic Advisers revealed that, as a group, millennials value community, family, and creativity at work. They’re also the largest and most diverse generation in the U.S. Almost certainly, millennials constitute a large chunk of your target audience. Your content should speak to their needs and values. Adaptive content is the way to go. Adaptive content is simply the content that supports meaningful interactions across different platforms. Think of it like water – whatever you pour it into, it takes the shape of that container. In other words, your readers should be able to access your content on a desktop computer, then continue where they left off using their smartphone or complete their purchases through your mobile app, with absolutely no hassles at all. 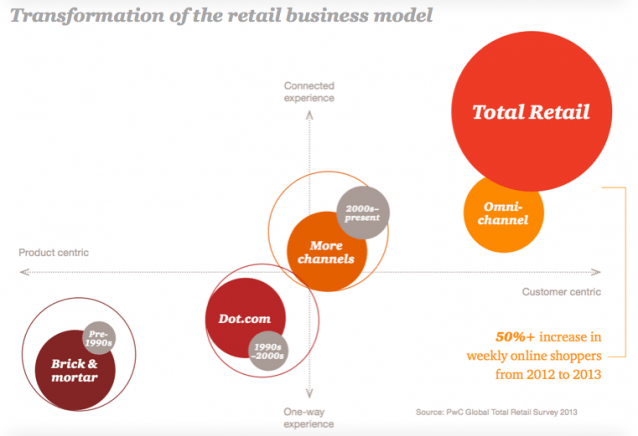 Although this concept is relatively new, it’s gaining ground in the ecommerce industry. According to Luxury Daily, 48% of shoppers said they’d like to shop with their mobile phones while in stores. 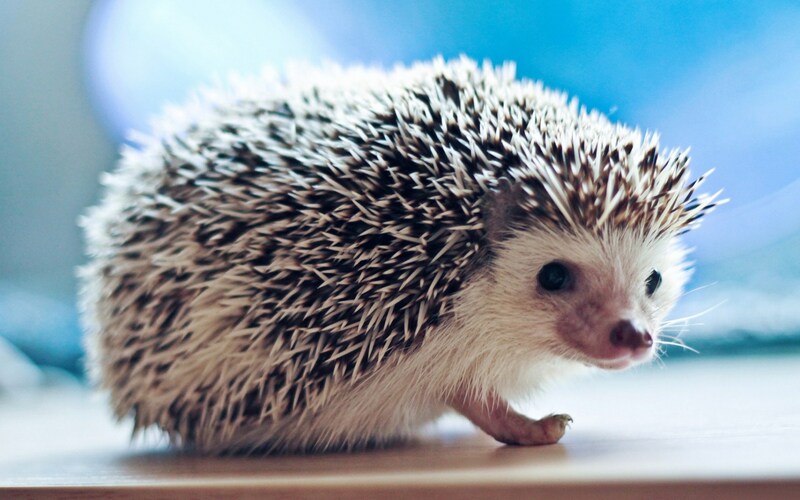 A hedgehog is a small mammal that has a rounded body with stiff spines and a small, pointed snout. So what does a small mammal have to do with content creation and marketing? 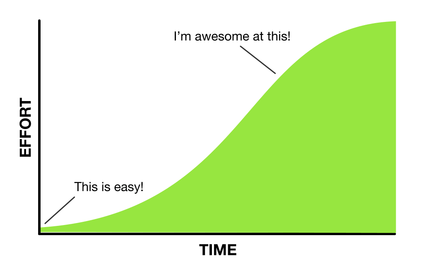 Well, it simply means that you should start from where you are, then scale from there. Why worry about the fact your blog isn’t generating 1,000 monthly visits yet? Instead, start small. 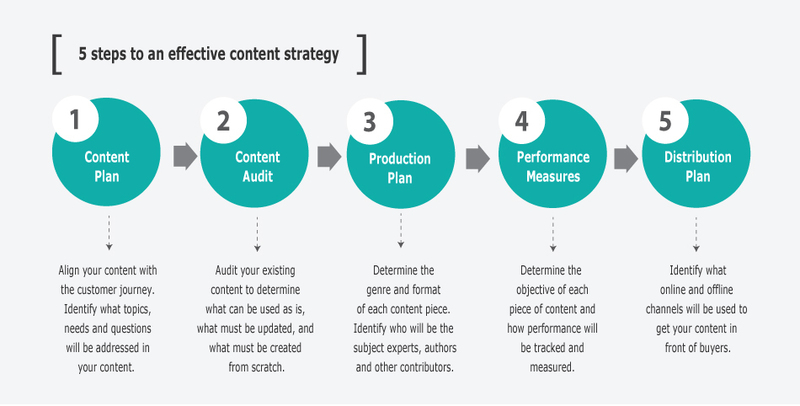 Create and consistently use a content strategy that will help you reach your goals. Instead of obsessing over reaching 1,000 monthly visitors, focus on 100 each month.Just make sure that your goal is realistic and measurable. If you’re able to hit that smaller goal, the objective of the hedgehog model is to treat them marvelously well with high-quality and useful content that they’ll share with their friends. Apply the same technique to your email list. Focus on getting 3 – 5 subscribers every single day, instead of your first 100 subscribers. By the end of the month, you’ll have 90 – 150 email subscribers. Are you consistent at split testing? A research study by AdPushUp showed that conversion rates typically range from 1% to 3%. 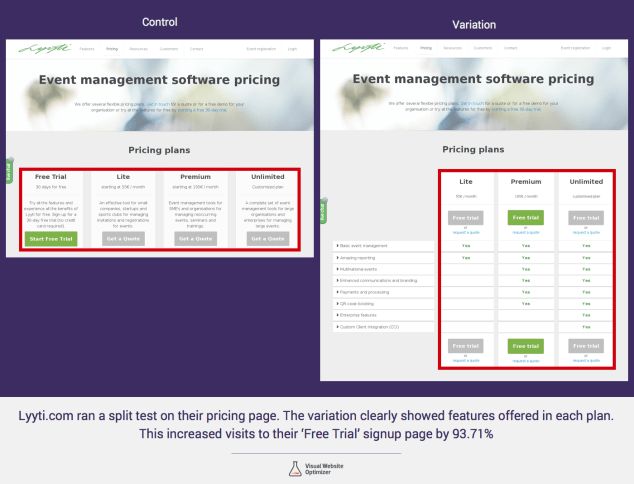 A/B split testing helps you convert more. And even a single additional percentage point in your conversion rate can be significant. Running A/B split tests is crucial if you want to know for certain which headlines, calls-to-action, and types of content work best for your readers. Once you know what strategies work best for you, your work becomes that much more effective. You can split test just about anything. Since you’re concerned about search traffic, however, you should focus on the elements that impact search performance, such as headlines, site speed, visuals, landing pages, CTA, and so on. Most websites don’t have a traffic problem, but every site has a conversion problem. 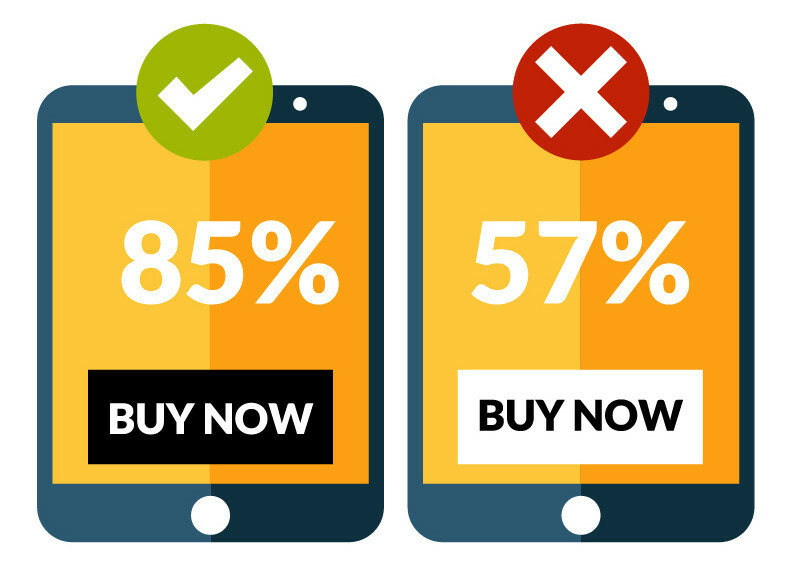 A/B split testing can send more targeted buyers to your product pages as well. 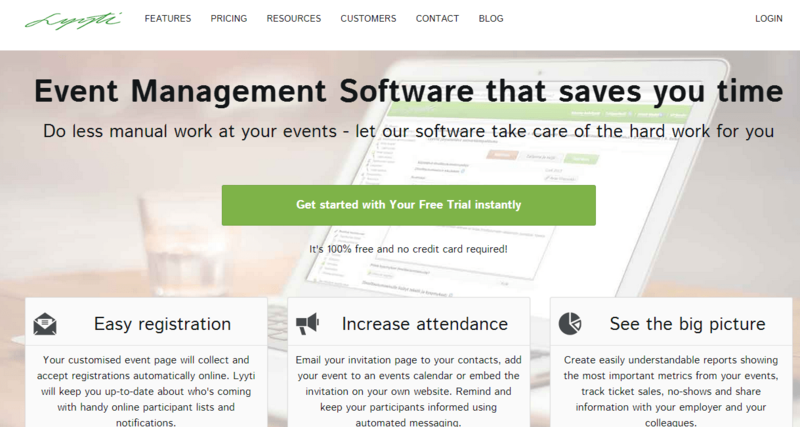 For example, Lyyti.com, an online event management software company, ran a split test on their product pages. They set up a product page variation and tested it against the control. At the end of the testing, the variation page performed better. It clearly showed features offered in each plan, while the original design wasn’t quite clear enough. Implementing the results of this test increased visits to their “Free Trial” sign-up page by 93.71%. It’s also time to look into mobile testing. According to Digital Buzz Blog, 91% of people worldwide have a mobile phone, and 72% of tablet owners purchase products from their tablets every week. Clearly, you can’t afford to run A/B split tests solely on desktop users. If you’re experimenting with mobile testing, look at any key user behavior, especially behaviors related to conversions, such as email opt-in form and landing page preferences. Content marketing is a lot easier these days, considering all the statistics, data, and content that can be accessed for free. According to Shift Learning, online learning has grown significantly. In 1995, just 4% of U.S. companies were using online learning. In 2011, that figure was 77%. People visit these online training sites in part because they’re effective. E-learning is proven to increase knowledge retention by 25% to 60%. 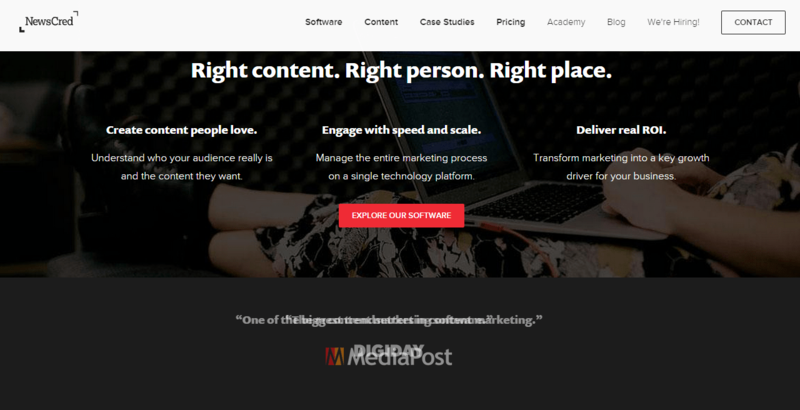 This is good news for content marketers, because with online learning platforms like Udemy, Lynda, and others out there, you can benefit from all that useful content provided in their courses and modules. Essentially, you can pick the brains of experts in different industries to create top-notch content for your target audience. Now, there’s no longer any need to waste tons of time researching your topic, because someone with better training, resources, and time has done all that for you. 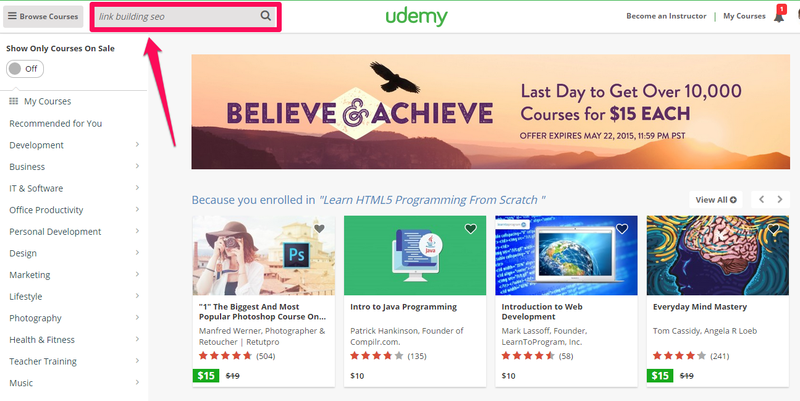 Step #1: Go to Udemy.com. 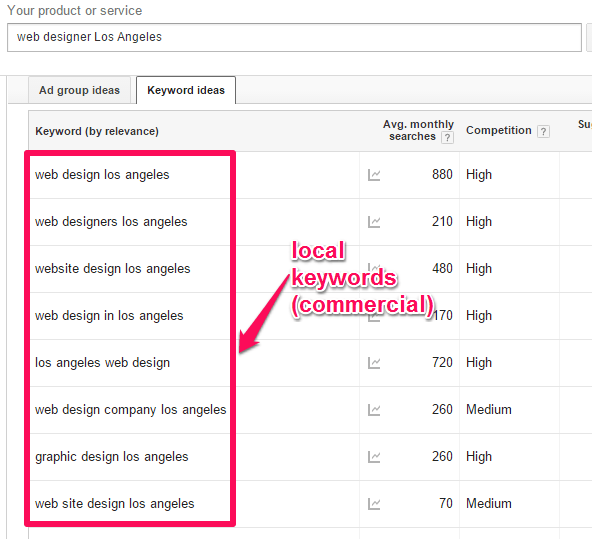 Type your main keyword (e.g., link building SEO) into the search box. Hit the enter button on your keyboard. Step #2: Analyze courses. 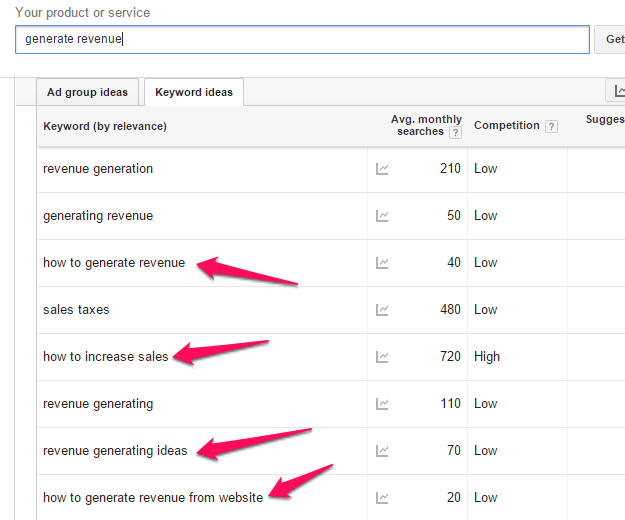 From the top results, choose one that suits your keyword, then click on it to see the modules. Step #3: Extract ideas from the module. You can find the module for that particular topic when you scroll down. 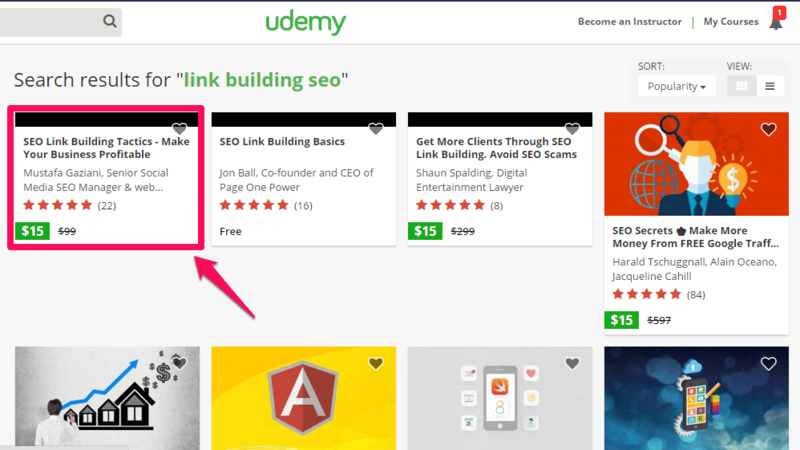 Note: Most courses at Udemy will probably cost you between $15 – $199, although there are free courses available. If you have the budget for it, you can buy the course. Here, however, we’re just looking at ways to get ideas for organizing and outlining your article from the module titles, so there’s no need to sign up for the course itself. 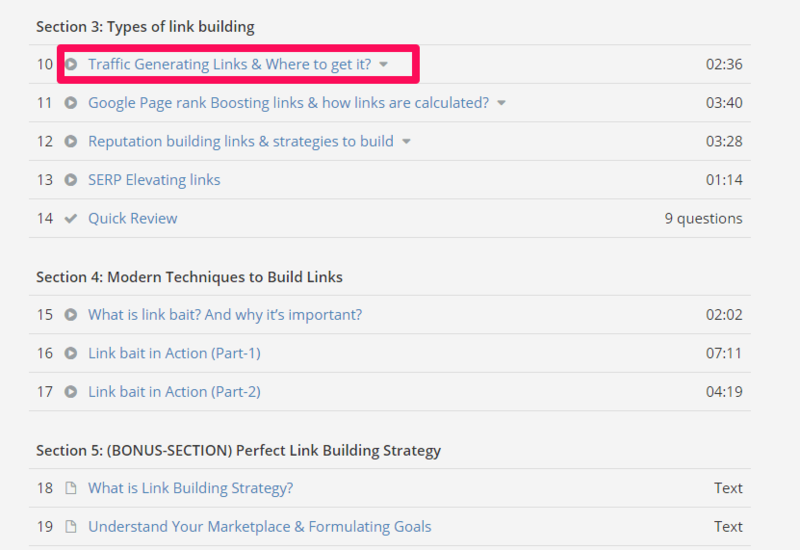 From the highlighted module above, I can create 5 unique and high-converting headlines for my next blog post. Spending just 10 to 20 minutes each week studying Udemy course modules will not only give you lots of ideas to write about, but will also expand your analytical skills and give you a more thorough understanding of your industry and your target audience. You’re where you are today because of your values. In fact, core values are the building blocks of every human being – and every business (or other organization). Personal core values guide an individual’s behavior and choices. The same is true for your business’s values, as well. For example, if you believe that your target audience should benefit from the information that you share with them, then you’ll research extensively and craft the best content you possibly can for them, if you’re acting consistently with your values. 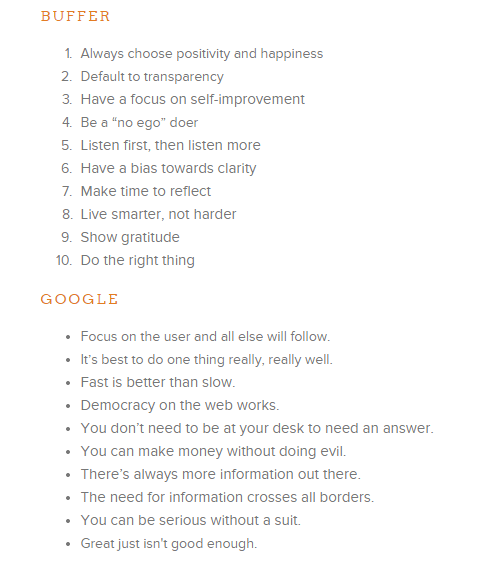 Take the time to articulate your values in writing, the way Google and Buffer have. Google believes in putting users first. Buffer believes in showing gratitude, which helps make their social media management tool so valuable for content marketers. There is no single rule for defining your core values. Just make sure that each value originates from your deeply-held beliefs. When you start to write content based on what you truly believe in, you’ll be able tobridge the gap between your message and your readers’ expectations. Storytelling helps you bridge that gap. But from personal experience, I can tell you that it’s much easier to tell stories based on what I know and believe, instead of what someone else says or believes. Native advertising – a form of online marketing in which the “ad” content matches the platform on which it’s published – isn’t new. It’s been around for awhile now. Most people believe native ads are deceptive, since they don’t “look like ads.” But it doesn’t have to be that way. 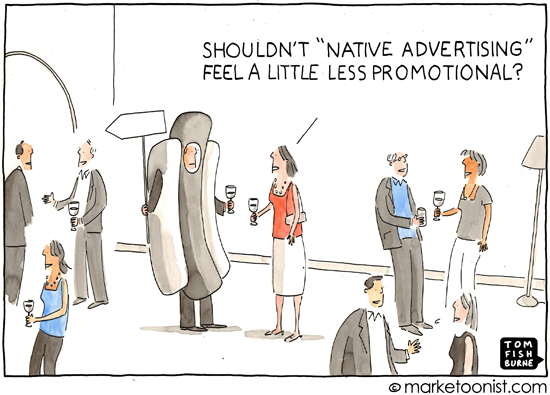 Native ads can still offer value as something more than just a promotional piece. 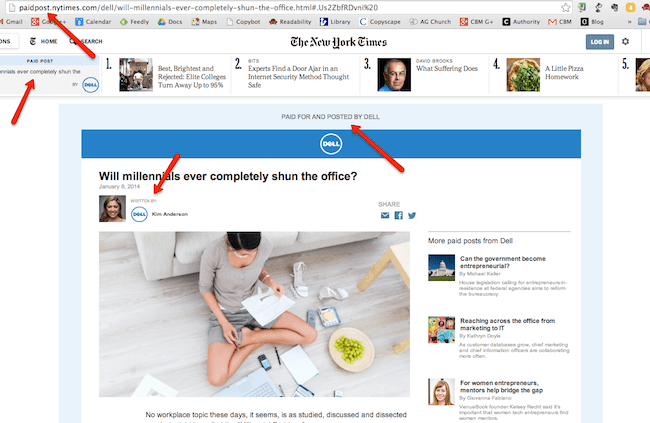 Whatever you may think about it, there’s no question that native advertising works. 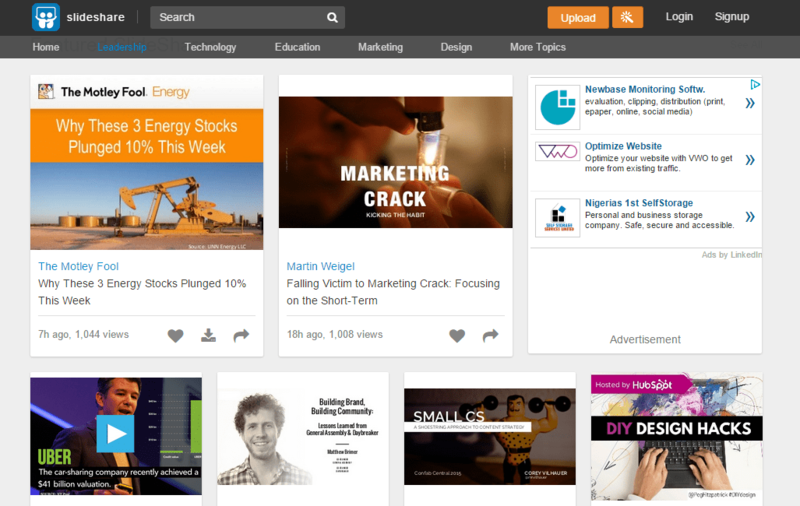 For example, Newscred regularly pays for sponsored content on LinkedIn, with an ROI of $17 for every $1 spent . That’s almost 6 times the ROI from AdWords. Copyblogger Media also shared 12 examples of native ads and why they work – ideally, as an integrated part of content marketing. Paid content is a great example of a native ad that works well. Here’s a post by Dell on NYtimes.com. Notice all the signals pointing to the fact that the post is a paid one, thus eliminating any deception. And a recent study by Forbes found that people are 25% more likely to look at a native ad than at a banner, and they view native ads 53% more frequently than they view banner ads. According to Pardot, “native advertising is actually a form of content marketing.” This means that it should offer some form of unique and useful information to thetarget audience. According to Brafton, “83% of digital marketers plan to increase audience engagement and promote brand visibility through native ads.” If you want to join them, make sure your ad is consistent with your other content. Above all, native ads should meet the needs of your readers and engage the audience, just like your other content does. Bottom line: Native ads work and will continue to work. The best practice is to approach it with your content marketing mindset and ensuring you use only high-quality content. So, for example, if you decide to do sponsored posts or paid tweets, make sure that your landing page is well-designed and your content is crafted to welcome visitors and convert them into email subscribers or buyers. It’s survival of the fittest and your business has to evolve.” To “evolve” means “to change or develop gradually. In content marketing, it means you should be willing to change and adapt to the latest developments in your industry. Business models evolve and the only way to stay competitive is to always work with the most current information. Never be caught unaware. As the business and content marketing world constantly evolves, you’ve got to keep your business viable. For example, you should keep abreast of Google’s algorithm updates if you want to keep generating sufficient search traffic. I’m always ready to change what I’m doing if I find it’s no longer yielding significantresults. I don’t throw in the towel and quit. Rather, I stay flexible and continually adjust. You can do the same. Be prepared to satisfy your customers no matter what the economic situation or new government policy might be. It’s your responsibility to evolve for the sake of your target audience. Competitor analysis isn’t optional these days. You can effectively spy on your competitors to know exactly what they’re doing and how to outsmart them. Industry experts agree that competitor analysis is an integral part of searchmarketing success. When properly conducted, and when its results are integrated into your strategy, competitor analysis can improve many aspects of your marketing, including your conversion rate. The easiest way to know what your competitors are doing, in terms of where they’re getting backlinks and how many quality links they have, is to use the right automated tools. First and foremost, you’ll want to find out who your strongest competitors are. You can use Google to search for your main keyword (e.g. 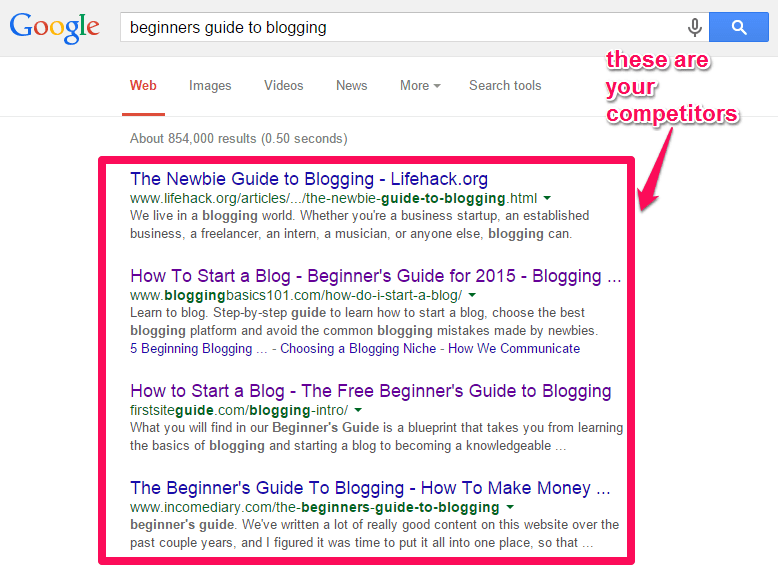 beginners guide to blogging), then check which sites are competing with you. Now you can analyze their links. 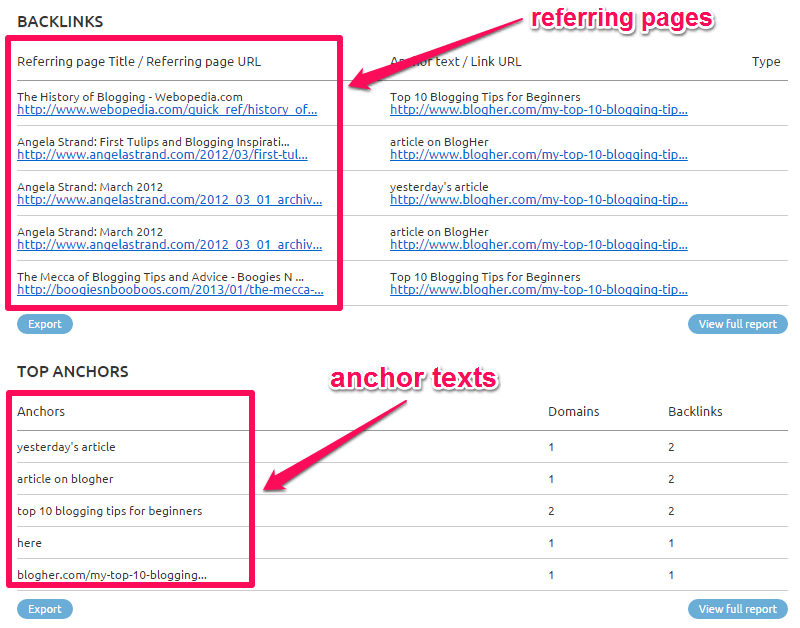 Click one of the competing web pages to see the number of links that particular page has earned. When you scroll down, you’ll see the sites where the links came from. It’s time-consuming to check all of your competitors. However, even just checking a few competitors for their backlinks, speed, and search performance can give you a better understanding of your industry. Are you taking local placement seriously? Content marketing isn’t just for an international audience, but for local clients and customers as well. According to recent statistics compiled by Bright Local, 97% of consumers use online search for local products and services. 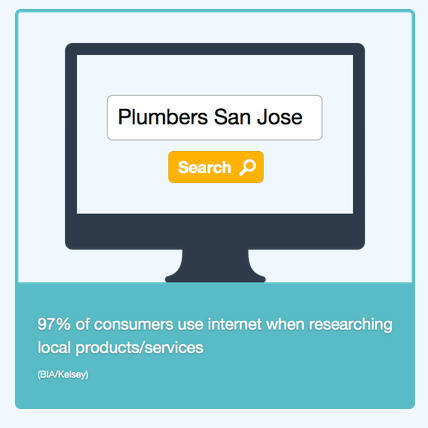 The search engine is the #1 resource for local customers. LocalVox statistics showed that 43% of web searches carried out today use a local keyword. Approximately 86% of those searches are from highly qualified customers, and their search leads them to either call the vendor/company or visit their physical office. Note: You can replicate this strategy to target keywords pertaining to your own city. However, you shouldn’t target local keywords in any state or city where you’re not physically present. You can also increase revenue by targeting local keywords. 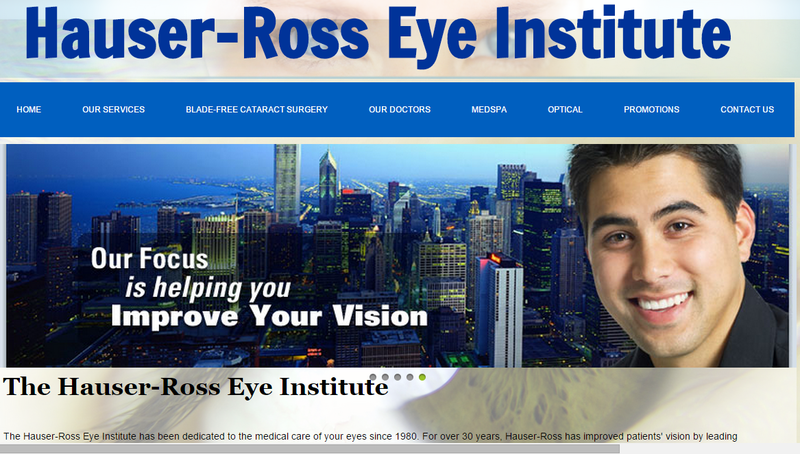 For example, Hauser Ross launched a full SEO campaign. 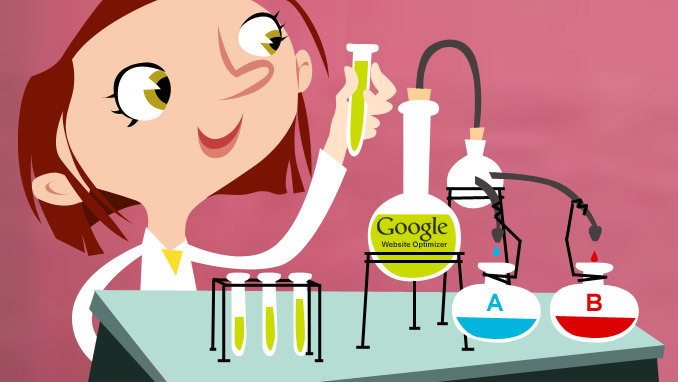 They had a definite goal: to increase organic traffic and attract more inbound queries. By simply optimizing for geographical keywords and claiming their business on Google Maps, they increased revenue by 333%. The best way to create magnetic headlines is to target emotional keywords. Doing so will supercharge your content. People will not only read it, but they’ll be inspired to share it as well. So in our example, if you found an article or video targeting any of the keywords above, you’d respond positively. The reason is because those keywords mirror what you deeply desire. The same is true for your target audience. When they’re searching for keywords and you notice a hint of immediacy, you know that those keywords will convert into clicks, visits, and sales when you eventually rank in Google. 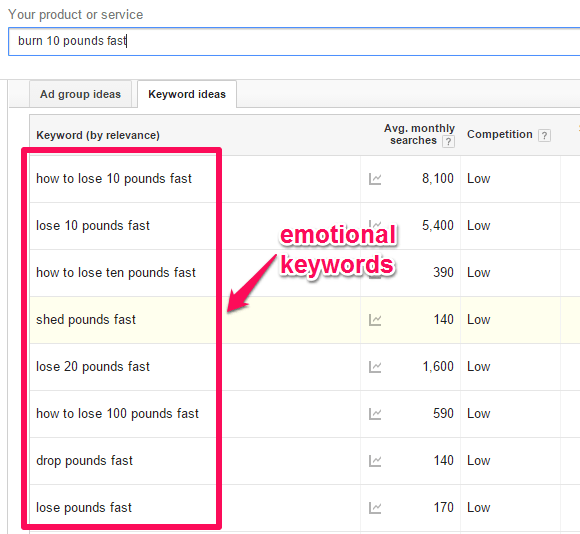 From the screenshot above, you can see the “emotional keywords.” I call them “emotional” because people who are searching for them are already pre-sold on the idea of increasing revenue. They’re just waiting for a nudge to take action. To make your headlines high-converting, you should include numbers (especially odd numbers), because some studies show that odd numbers outperform even numbers. But you can change that, starting today. It begins with fueling your passion for writing. 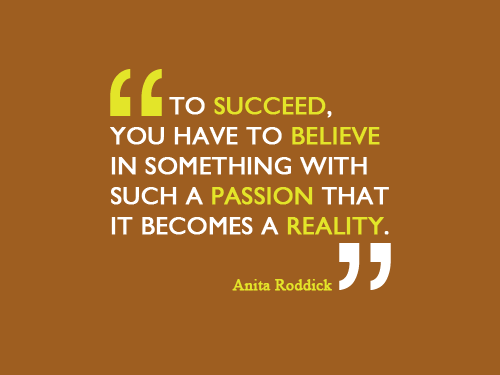 After all, if you’re passionate about what you do, there is nothing in this world that can stop you. Success requires consistent effort, and it’s a whole lot easier to be consistent when you’re passionate about the thing you’re doing. Blogging and business require creativity. The more creative you can be, the more opportunities you’ll have. This is a wake-up call for you to become a creative writer. The more you understand your target audience, and serve them accordingly, you’ll find yourself growing in love for them. I never started out as an expert. In fact, there was a time when I couldn’t put together a 500-word blog post. I had to continually learn and fuel my passion for writing. Eventually, I got better, learned more, and became the expert I wanted to be. Listen up: Successful content marketers don’t know it all. They’ve struggled to get things done, too. But because they’ve developed thick skins, they can meet the challenge and come out stronger and more influential. If you want to attract a loyal audience and boost your site traffic, pre-sell your content and product. For example, if you were to release a new post next week, tell your readers about it before you publish. Behind-the-scenes experiences are welcome moments for your fans. 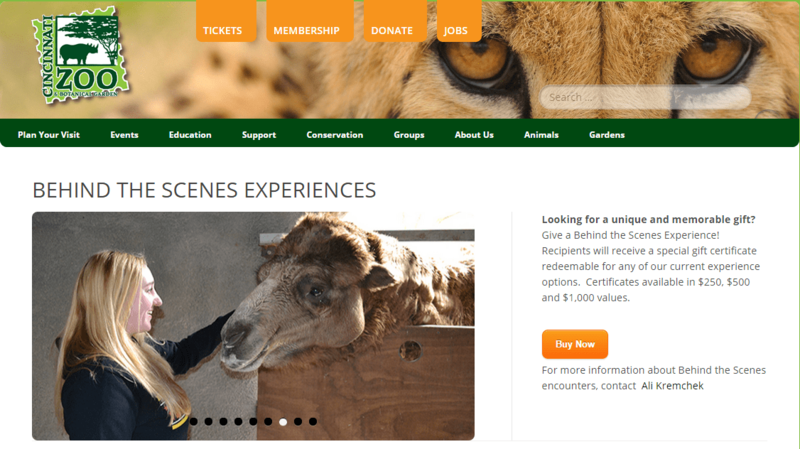 Give them an interesting behind-the-scenes experience, like the one offered by theCincinnati Zoo. I do this a lot when I write content. I’ve even started doing it when I reply to comments as well by telling my readers that I’ll be publishing a new post that will more thoroughly address their question. 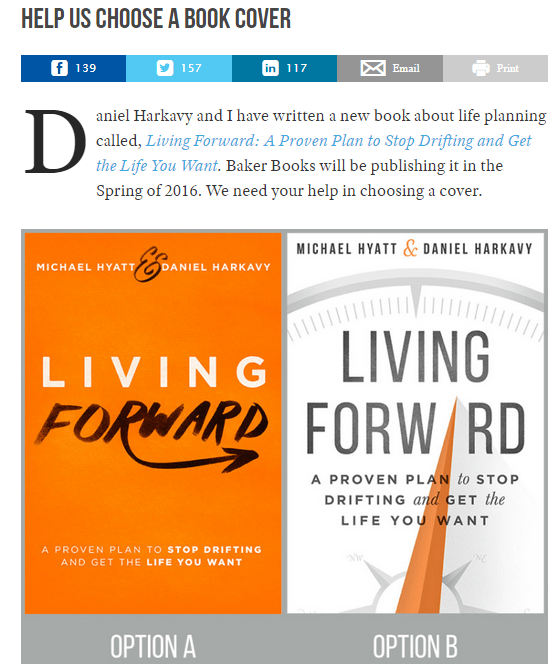 Another typical example of a “behind-the-scenes” experience is when Michael Hyattasked his blog readers to help him choose the best cover for Living Forward, an upcoming book that he co-authored with Daniel Harkavy. Of course, this is also a type of pre-selling, because the customers and loyal readers now know the title of the book, and will look forward to its launch. And now a majority of them are ready to buy. But before they buy, they’ll tweet the page, cite it in their blog posts, recommend it to others, and follow the updates. This will increase referral traffic to Michael’s blog, and search performance will likely also improve as a result of social signals. Curation used to be something you saw only at museums, where different arts and crafts needed to be selected and organized for exhibitions. Now, it’s an indispensable part of content marketing. You don’t always have to create fresh content from scratch all the time. Content curation is at the heart of social media marketing for most of us. 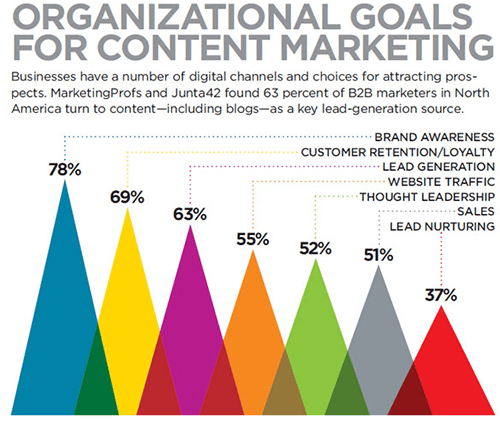 In fact,76% of marketers share curated content on social media regularly. 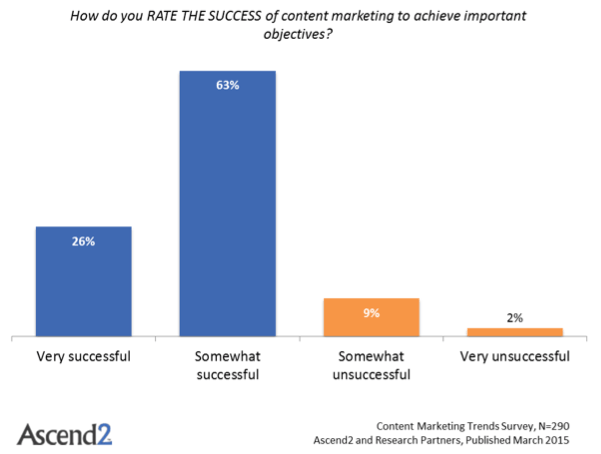 Yet even with so much content, Curata’s data shows that 30% of marketers are still struggling to find the right content that will improve their marketing strategy. Hence, the need for curation. 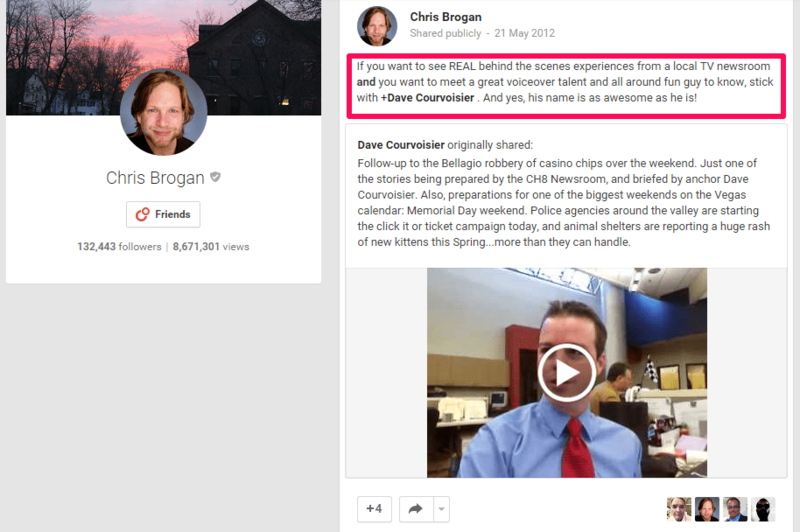 A typical example of a blogger who knows how to curate high-quality content from authority sources is Brian Dean. 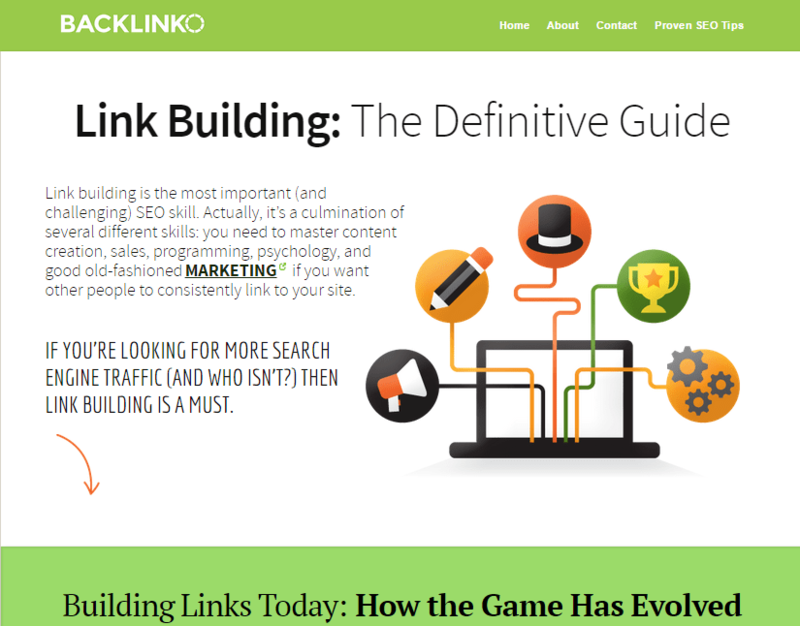 His link building guide is basically a curated web page. 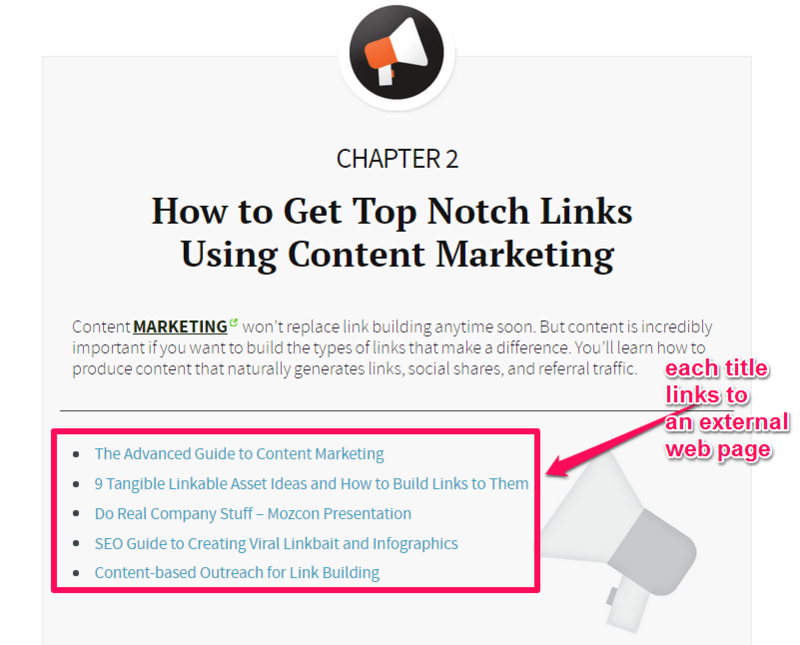 As you scroll down the page, you’ll find links to in-depth and valuable articles and multimedia content related to link building. 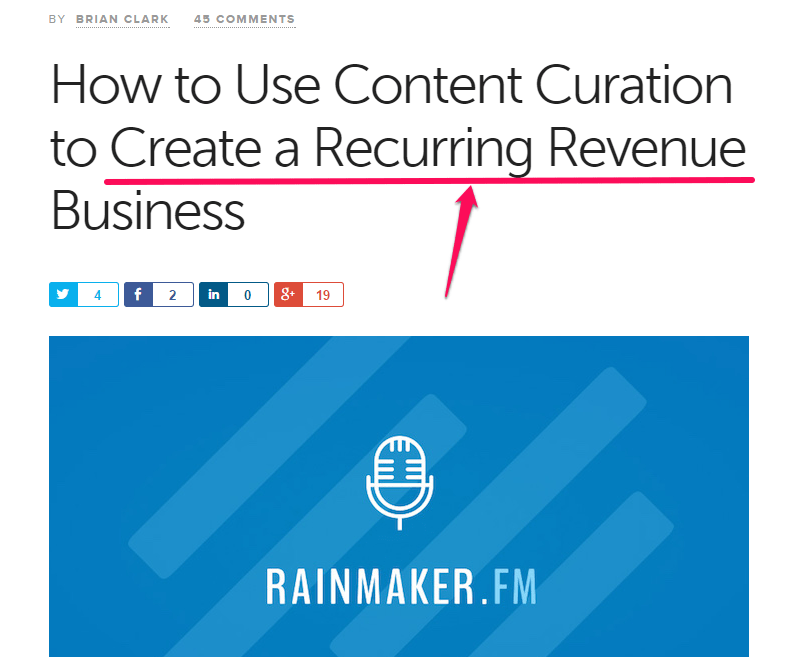 Copyblogger’s founder (Brian Clark) also believes in content curation. Apart from driving qualified traffic to your site and improving search performance, Clark has also advised on how to generate recurring revenue from curated content. Research extensively for authority blog contents. Don’t curate content from low-quality sites. Stay relevant. 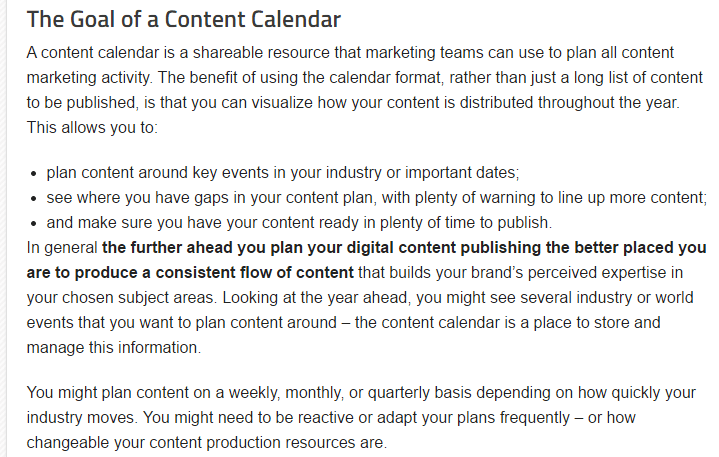 Every content page you curate into your list must be relevant to the topic. Design for user experience first, then optimize for the right keywords (but don’t stuff). Reach out to bloggers whose content you’ve curated and notify them. Most of them will share it, if they believe their target audience will benefit from it. A lot of marketers and bloggers have closed down their Facebook pages. Maybe they had good reasons for doing so, and I respect their decisions. You can find out why Eat24Hours.com followed suit by reading their breakup letter to Facebook. The purpose of this section is not to tell you to do the same. Rather, I want to instill in you the need to build engagement in your own space – that is, your own blog. In other words: instead of working hard to get thousands of Facebook fans, Twitter followers, and Google+ connections, work hard to bring them to your blog. From there, encourage them to join your email list. That’s where the real engagement happens. You have more control over your blog and email list than any social media profile. No matter what success you’re enjoying on those sites today, make sure you’re not abandoning your blog audience for Twitter followers. Instead, pay more attention to your email list and nurture your subscribers. Sure, use social media networks to drive traffic and leads as much as you can – but pay more attention to your email list and blog. 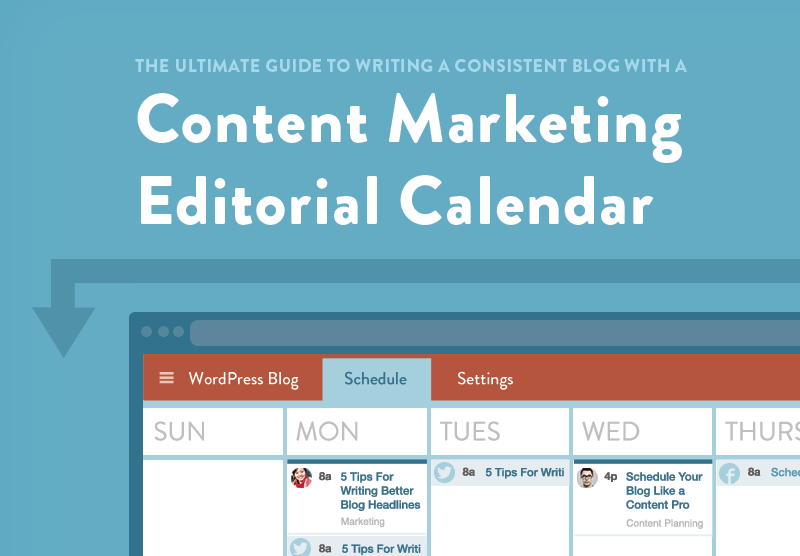 You need an editorial calendar to make your content marketing journey low-stress and rewarding. Unfortunately, most people never take the time to craft a plan for creating content, marketing it, and tracking its effectiveness. The importance of the editorial calendar just can’t be overemphasized. You need to develop yours as quickly as possible, or use a template. 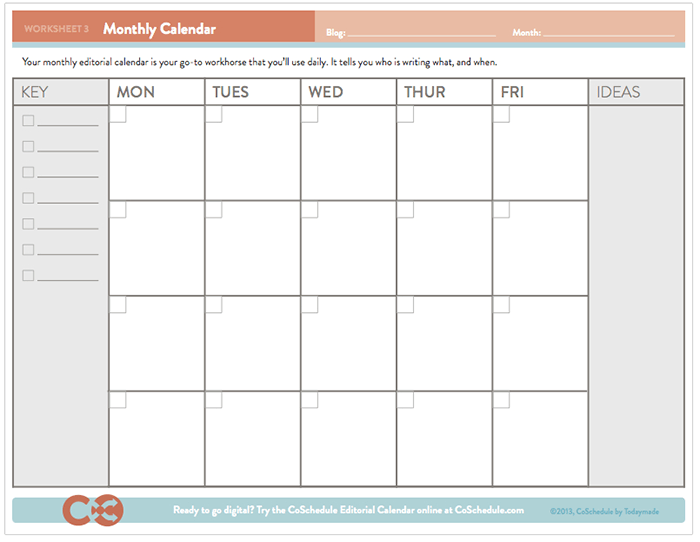 You also need to find an editorial calendar template that’s right for you. 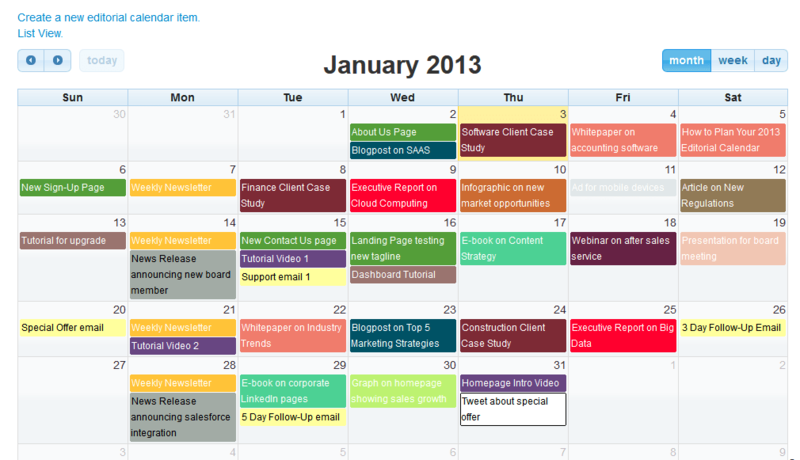 Most organizations and marketers prefer the monthly calendar template, since it’s a realistic timeframe to measure effectiveness. With the above template, your task is to fill in the blanks. Each day of the week holds a topic or headline idea that you’re expected to write on or outsource. 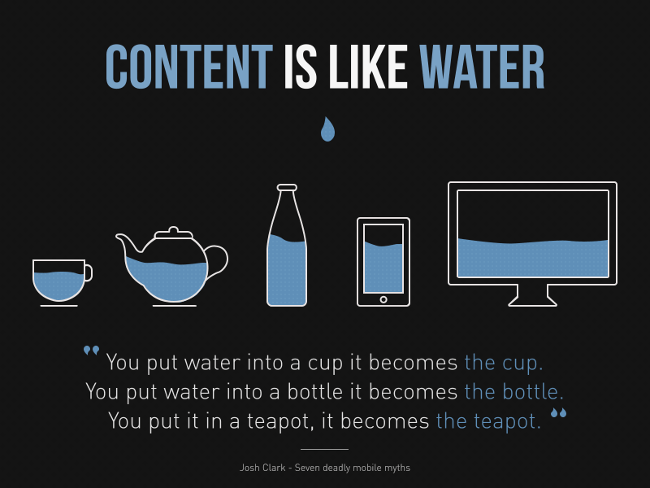 Remember that you need to keep a steady flow of content coming in. 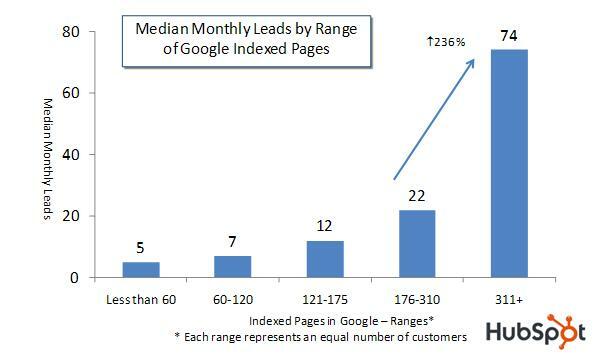 That’s the way to generate more leads and indexed pages, and improve organic traffic. Blogging can help you reach more of your target audience. But how do you get more referral traffic from your content? You’ve got to think outside the box. Inbound marketing works – there’s no question. But you’ve got to diversify your efforts if you want to get outstanding results. The majority of your target audience haven’t visited your blog yet. They’re onSlideshare, YouTube, Docstoc and other content platforms. You’ve got to be everywhere they are. Your content should make a mark online. If you’ve spent your precious time creating great content, don’t let it sit there in oblivion. In a nutshell, I’m saying you should embrace content repurposing. It gives you the ability to take an old piece of content, and put it to a new use, according to what your audience wants. For example, you could take an article, convert it into a PDF report, and share it on Docstoc. You could also create PowerPoint presentations and upload to Slideshare.net. You’ll drive additional traffic to your blog and enhance yourcredibility as well. Be very careful to repurpose only your high-quality content that produced measurable results the first time around. Not every piece of content will necessarily work for this purpose. The web is a virtual university. You can learn just about anything online, if you know where to look. Content marketing will continually produce the right ROI when you give it time, and consistently work to upgrade your knowledge and skills. Listening is often the best form of learning. The bad news is that your competition will continue to get more intense. The good news is that we’ve never before had so many effective and affordable tools and knowledge bases from which to work. Using the right tools, developing your skill sets, and networking smartly will get you to the top. But if you really want to succeed and reap huge dividends, then you should channel your learning efforts towards understanding your target audience better. You’ve made it. Thank you for reading to the end. However, if you don’t recall everything (you probably will not), remember this: In the world of content marketing, the customer doesn’t care about you and your good plans. They care about their challenges. And they expect you to at least provide answers to some of their questions, if not all. Start by getting to know them as well as you can. This will take some time, no matter what tool you decide to use. The moment you know your audience, you’ve won half the battle of converting them into loyal customers. Implement these 21 content marketing best practices, and gradually your search traffic will improve and so will your personal brand. Did I miss out on any proven marketing tactics that work? Let’s hear about it. via 21 Content Marketing Tactics That’ll Skyrocket Your Search Traffic.